Why is Encore Protection perfect for families and households? 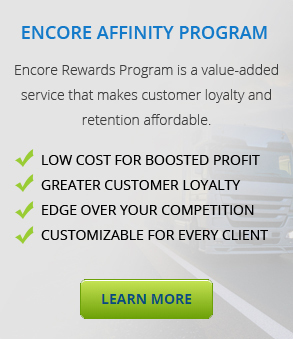 With programs like Encore Roadside (our classic, comprehensive roadside assistance program) and Encore Now (for those who need breakdown assistance now! ), it’s easy to see why members choose us for family roadside assistance, benefiting from our discounts, savings and complete, 24/7 nationwide protection! Add More, Save More: Our family and household roadside assistance services allow you to save money each year! Family Memberships cover the Member, Member’s spouse or domestic partner, and any dependent, driving age children up to age 25. Comprehensive 24/7 Nationwide Protection: Our roadside assistance is available 24/7, 365 days a year – anywhere throughout the United States, Canada, Mexico, Puerto Rico and the U.S. Virgin Islands. Whether you’re on vacation or traveling cross-country to visit relatives, you and your family will be protected! Frequent Breakdowns? No Problem: In families and households, vehicle breakdowns can be common. Whether someone forgot to gas up the car, or whether your kids accidentally locked the keys inside the vehicle, our program will save you time, money, and stress! Our family and household roadside services allow you to make up to five claims a year. Enjoy Shopping, Travel and Movies for Less: Our programs are about more than just comprehensive roadside assistance coverage – when you sign up for an annual membership, you’ll enjoy a variety of discounts on popular brands when you and your family shop, travel and go to the movies! Save on hotel deals or weekend outings to the latest films! Learn more about why so many prefer our motor club programs – enroll today or contact us online with questions and we’ll get back to you as soon as possible.